But things change. I made several albums and then I discovered card making. I was introduced to Close To My Heart via a friend and another home gathering. Oh wow... what terrific goodies. Beautiful, high quality papers, white core card stock that I can distress and age, STAMPS and inks that feed both my scrapbooking and card making addiction. 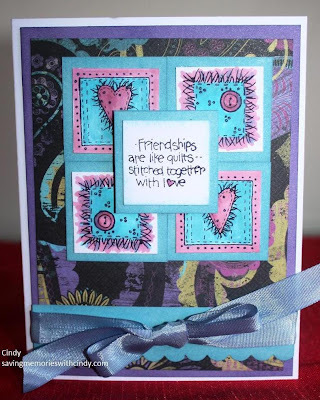 I spent yet another fortune on stamps, inks and those terrific acrylic blocks. I thought, wonderful...now I don't have to worry about storing those bulky wood blocks anymore. When it came time to make the decision to start my own paper crafting business, the decision was easy. I went with Close To My Heart. They had everything. Card making and scrapbooking supplies, all kinds of tools, ultra high quality products and those stamps. :o) The compensation plan was great, the discount was great and even better was the solid foundation that Jeanette Lynton had built for CTMH. Faster, Simpler, Easier...Let me show you how... were all mantras that soon began to roll off my tongue. 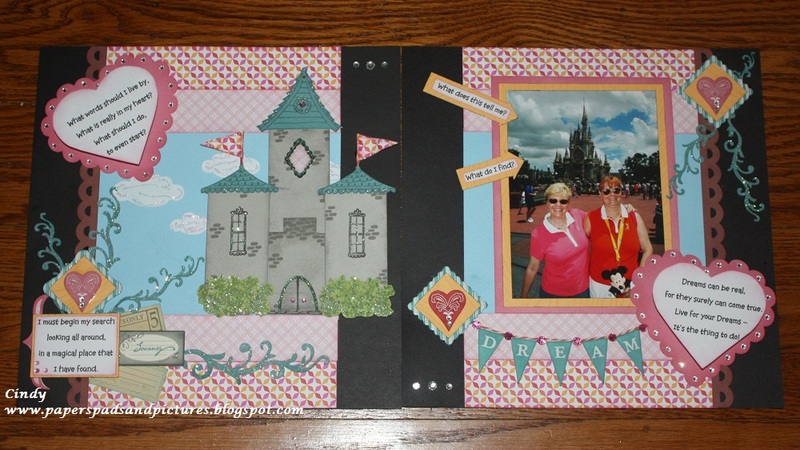 This is a scrapbook layout that I recently did as the opening page of my Convention 2013 Album Contest entry. 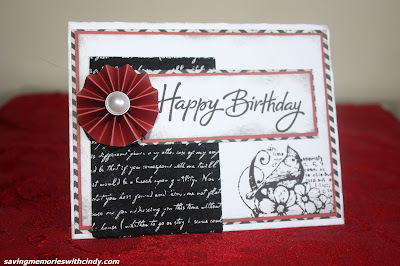 There are so many goodies packed into this layout...items from the Cricut Cartridges, color coordinated papers, embellishments, stamping and the all important journaling. 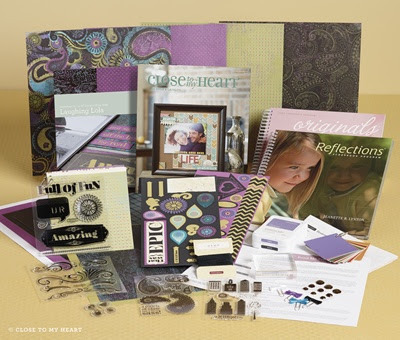 Close To My Heart truly does help you to create beautiful scrapbook albums. 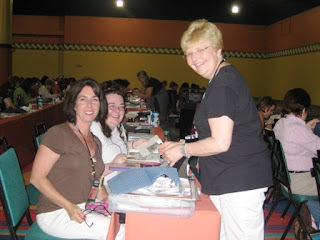 I've been on my scrapbooking journey for at least 15 years and a Close To My Heart Consultant for five. I have never looked back. I have never regretted either a CM or a CTMH purchase. Times change. The gals that initially got me started all those years ago have both left DH's school, but would you believe we still remain in communication! Close To My Heart has given me the opportunity to meet so many wonderful people. CTMH has helped me grow as an artist and has helped me grow as a person. Don't be afraid of change. Give CTMH a try. Let me help you meet new people and expand your horizons. Visit my website for more information. For Now, Happy Crafting! 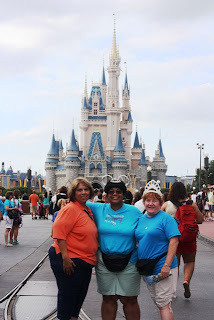 When I became a Close To My Heart Consultant, I had no clue where the decision would lead me. Five years and all I have to say is what a happy path I've been on. 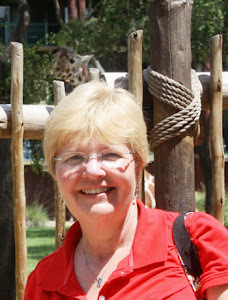 I have met so many wonderful people, enjoyed the excitement of several CTMH events and grown as an artist and person. Saturday, the Saving Memories Team, along with our fearless leader from the Paper Dolls held a wonderful team meeting at my Studio. I was truly reminded of the friendships and opportunities that Close To My Heart has been directly responsible for creating. And, in honor of that event, I've created this card featuring yet another sneak peek at new product that will be available in just a few days. The paper is from one of the new paper packets called Laughing Lola, the Stamp is new and see that strip at the bottom??? That is a new CTMH punch! 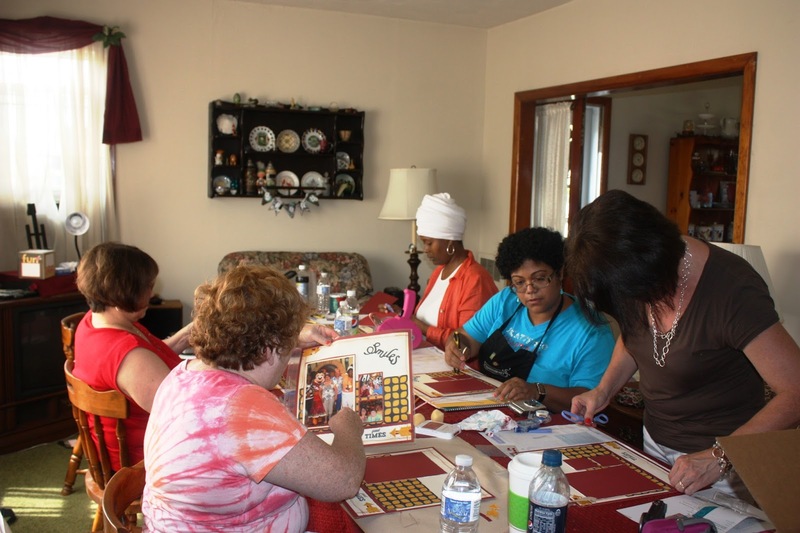 Pictured here are a several of the team members busy working on one of the projects from the Creative Session. We also discussed business along with a lot of laughter, food and fun. 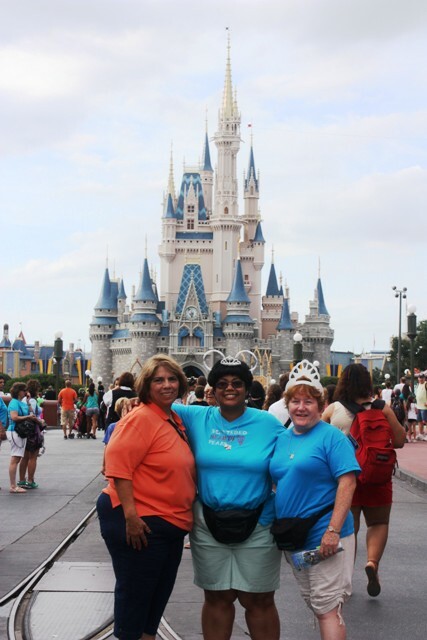 The Memory Savers are a great team of dedicated gals who enjoy each others company. We are active and support one another. You'll never feel alone as a Consultant. If this is the kind of opportunity you are looking for...whether it be just to get the discount on great product or to actually start your own business, contact me. For $49.00 you can get started with the Consultant Kit that contains approximately $150 in product. Email me for more information. For Now, Happy Crafting! Oh, am I ever loving the soon to be released CTMH Artbooking Cricut Cartridge! I spent some more time yesterday playing with it and it is really amazing. Prior to the 2013 Convention, there was a post from Close To My Heart that indicated that something that was going to be unveiled at Convention was "ground breaking." Well, let me tell you, it is this cartridge. You know how so many times, you are working on a layout and you waste paper because you misjudged the size of your image or title? Admit it, we've all done it... :o) With Artbooking, you will no longer waste that time and paper! Contained right on the pages of the booklet, are full scrapbook layouts with the mats, titles and embellishments designed to fit. A few simple cuts and you have a layout. There are also several mini books that are set up the same way. I guess I am still on Convention mode, but this is a layout I did yesterday. 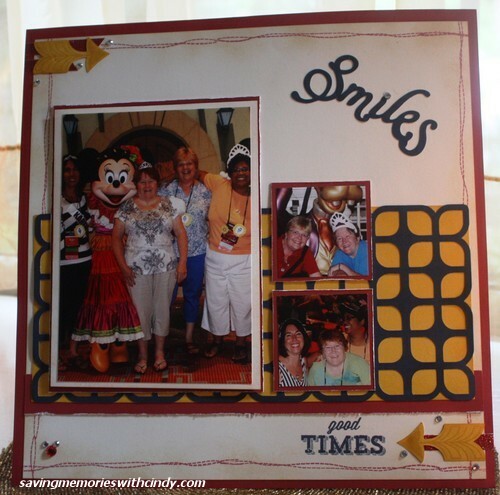 It features some fun pictures from Disney. The best thing is that short of the stamped stitching along the sides (Stitched Together C1459) everything is done with the products contained in the Artbooking Cricut Package. Even the title stamp and the stamped arrows are from the package. How can you argue with that. Artbooking will be available to the general public in just a few days (August 1st.) I know that everyone is going to love it as much as I do. For Now, Happy Crafting! Hi Everyone! Look what I found this morning. Yours truly is right at the beginning! 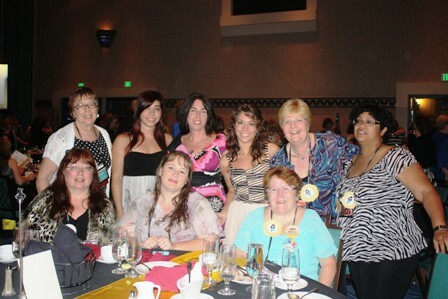 I'm also toward the end pictured with the Paperdolls and members of my team...The Memory Savers! Do you love to preserve your memories? Do you love to share your passion for scrapbooking with others? Do you love to have fun? Watch this video and see the fun and camaraderie that you have share in when you become a CTMH Consultant. The start up kit is as little as $49 (plus s/h and tax) and will get you started with over $150 worth of memory saving productions. Contact me for more information or visit my website. I would love to have you join us in 2014. For Now, Happy Crafting! What a fun weekend and workshop I had! I just love working with my workshop gals. 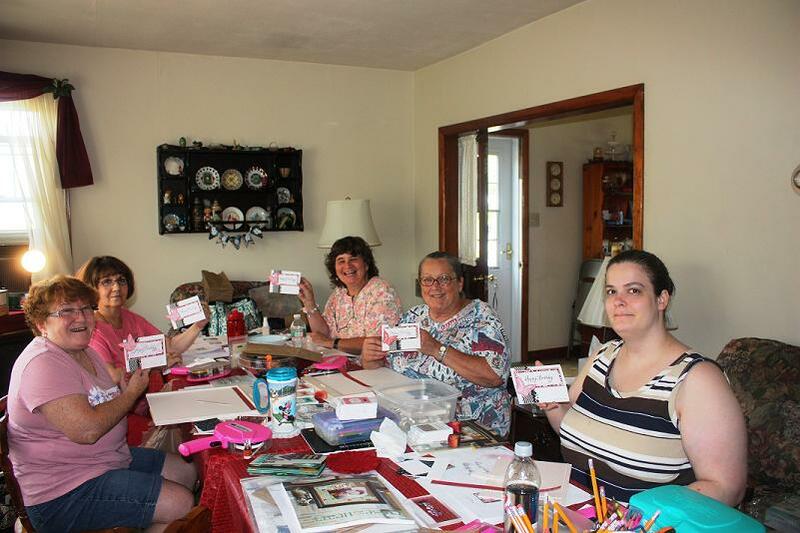 On Saturday, we held our monthly workshop featuring CTMH's For Always paper packet. It is a terrific black and white paper that is so versatile. Just Another Reason I Love Close To My Heart! Stop by my website for more information! For Now, Happy Crafting! 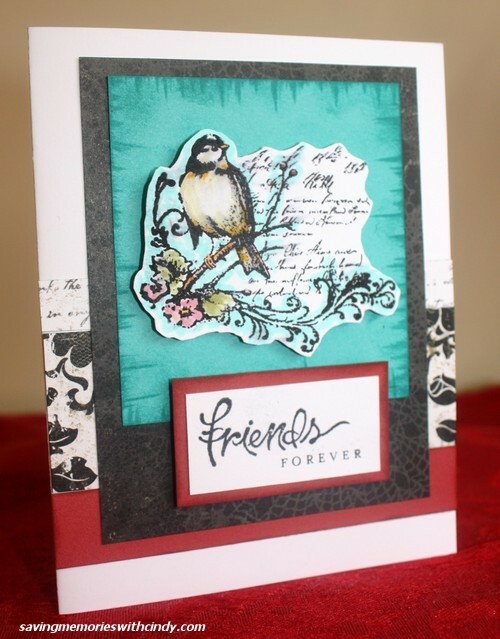 Once again, I am on the run, but I did want to share another card that I got done today for my upcoming workshop featuring For Always. This may look like a simple card, but it has some really fun techniques. 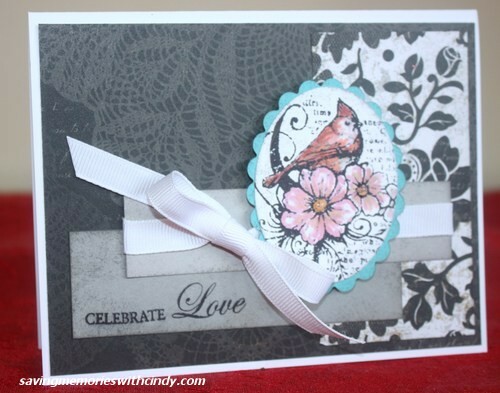 I decided that I wanted to feature For Always this month at my card workshop. The sketch come from the Make It From The Heart Volume 1 book...well know if that isn't a hit about upcoming things in the new Idea Book! Yes, there is a volume 2 coming and I actually have a copy of it that I won as a door prize at Convention! :o) These are terrific books and if you don't already own them, please consider them. They are only $7.95 and contain all kinds of sketches for both cards and scrapbook layouts. You can see Volume 1 on my website now, and beginning August 1st, you can see Volume 2! Anyway, the black mat with the writing is actually card stock covered in the For Always textiles. Love the coordinating textiles and with some of the other fun items coming August 1st, the fabrics are going to be an even better purchase. 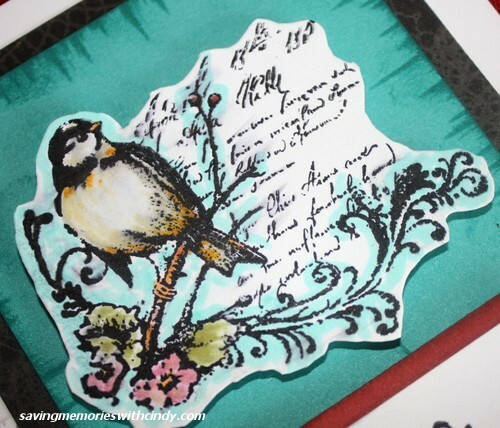 You don't think of using fabric on a card so, I thought I would give a quick mention on how I did it without creating a great deal of bulk on the card. 1. Cut the card stock to the desired size of the mat. 3. 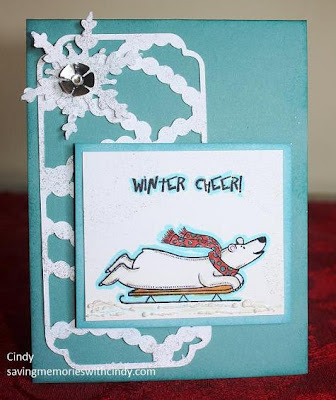 Run a line of tape adhesive close to the edges on 3 sides of the card stock. 4. Position the fabric over the card stock. By only having adhesive on 3 sides, it allows you to straighten the fabric. 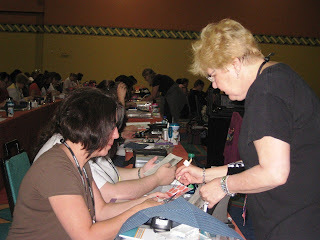 This is especially important when using patterned fabric that needs to to straight. 5. Run a strip of adhesive on the other side of the card stock on all 4 sides. Overlap the extra fabric and attach. 6. Cut (miter) the corners so that it lays flat on your card. I hope this makes sense. 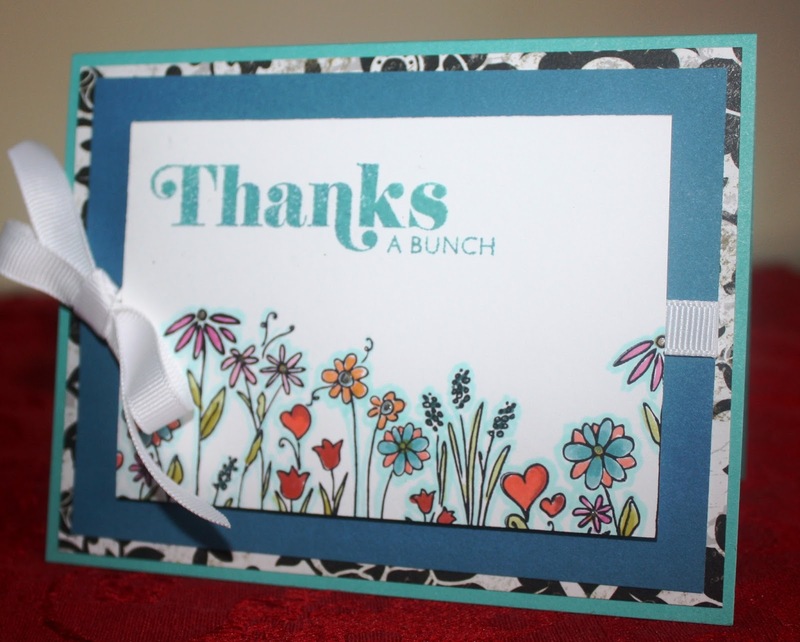 This mat of fabric was attached to the card base without any excess bulk! Doing it this way will avoid any bulky corners. Now, off to my meeting and wishing you fun creative time. For Now, Happy Crafting! 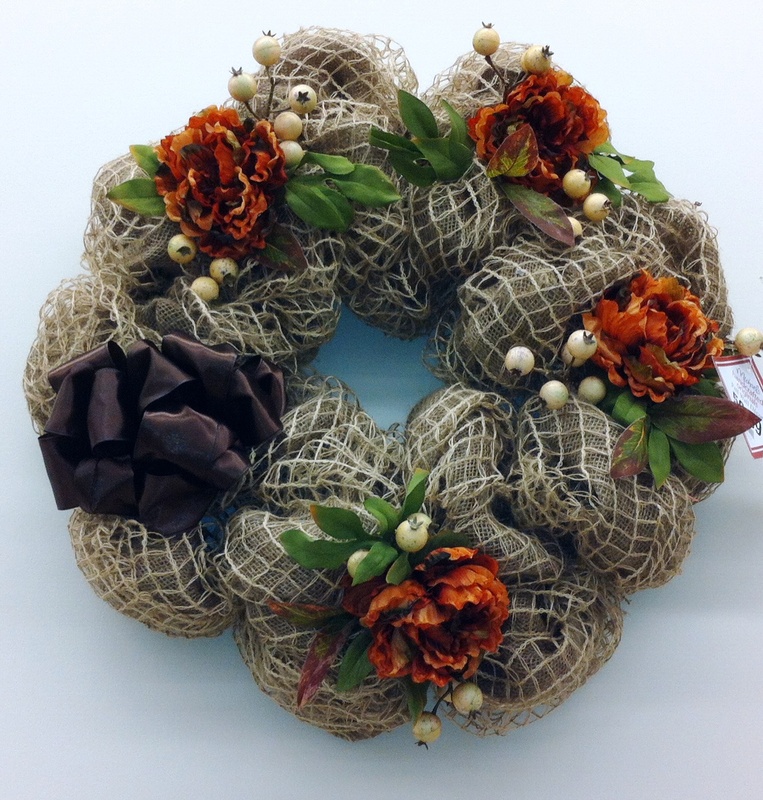 Alas, I have to work the Michaels Crop this afternoon, but before I headed out, I wanted to create something. Not having much time, I needed to do something quick and simple and yet did my pictures justice. This is what I love about Close To My Heart. 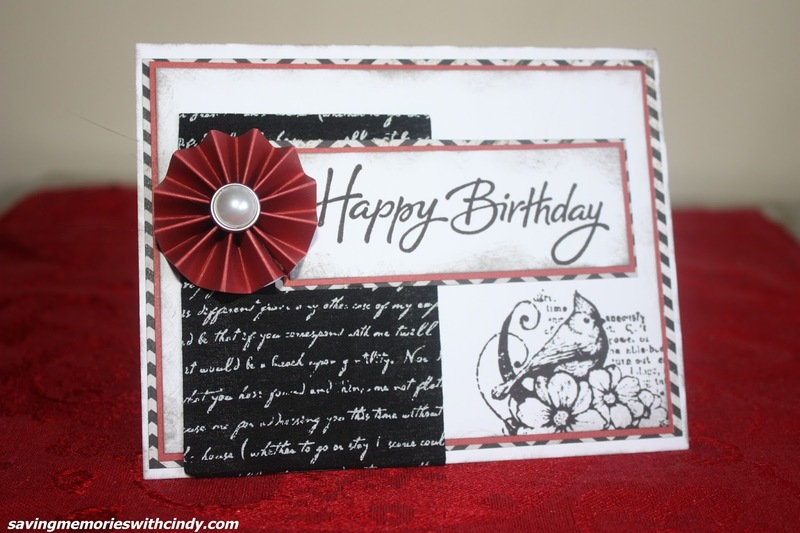 Everything coordinates...the stamps, the papers and the embellishments. 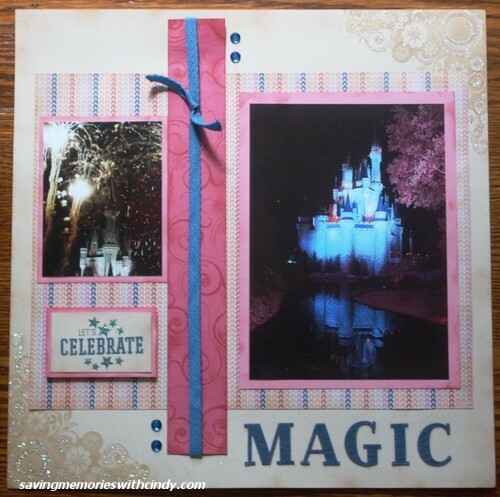 One of the new tag lines for CTMH is Rediscover Scrapbooking and that is just what I intend to do. I was able to make this layout very quickly but it does include several techniques and elements. 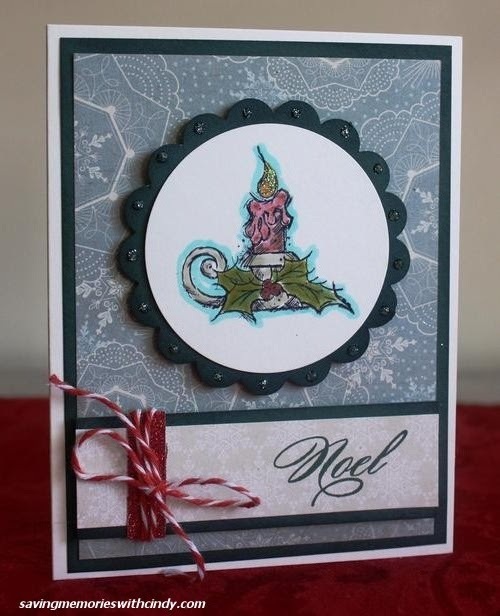 I've tone on tone stamped in the corners and added just a touch of Prisma Glitter for some bling. I also tone on tone random stamped the hollyhock strip down the middle for just a little movement. And, I sponged all the card stock edges for depth. The title was made using CTMH self adhesive Felt Letters. 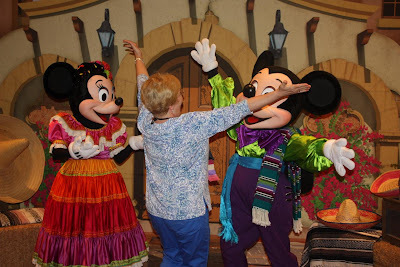 Quick, easy and yet still celebrates the magic of Disney at night. I purposely used some retired products not to frustrate you if you liked them, but to show you that even though a product may be retired, it is still usable and coordinates beautifully with the current product. When CTMH retires a product, they always seem to come out with something new that is even bigger and better. 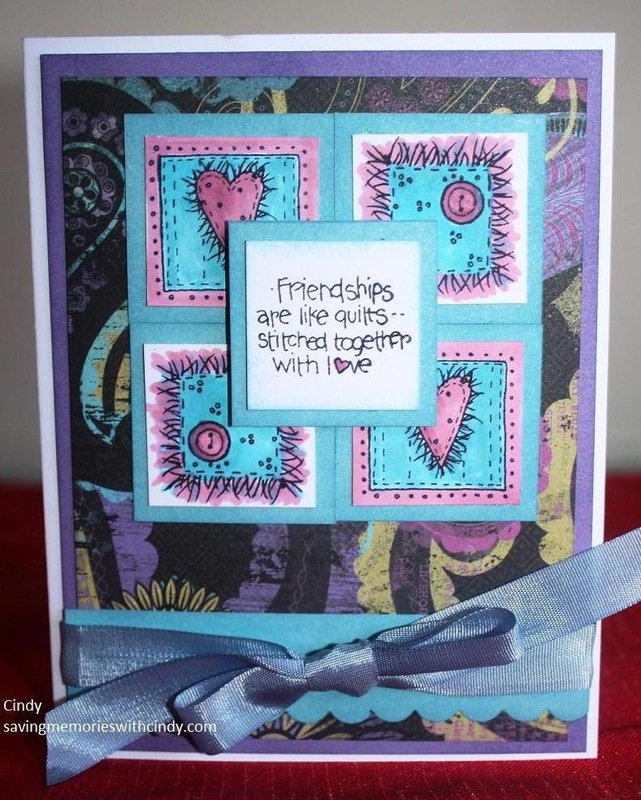 Stop by my website to see the Claire paper packet along with all of the other fun products. For Now, Happy Crafting! Convention is not all fun and games though. There are a great number of meetings along with a lot of creative time learning about the new products. I was very privileged to be selected as a "Creative Helper" at one of those creative sessions. Wow, was I sworn to secrecy. I was sent a projects using the new fall 2013 projects, asked to complete them at home and then bring them with me to help other Consultants work with the new products. It was so much fun. Welcome to my new blog! If you've come here from my past blog www.paperspadsandpictures.blogspot.com thank you. 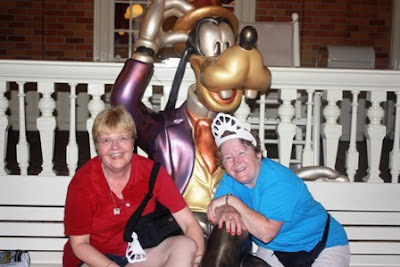 If you have just stumbled onto my Close To My Heart Saving Memories with Cindy blog, I am very happy about that, too. I've just arrived home from the Close To My Heart 2013 Convention in Disney World. What a wonderful time we had. Being a CTMH Consultant has opened so many doors. The opportunity to travel, meet new people and to be involved with a solvent progressive company are just a few of the great perks. It is easy to become a Consultant! For just $49 (plus shipping and tax) you can be on your way and be a member of my Memory Savers team. Just email me for more information. Look at all the goodies that come in your $49 kit. Plus I've give you a little sneak peek at many of the new items set to be released on August 1st. Thanks again for finding my new blog and keep watching as I will be posting more pictures from Convention along with fun artwork. For Now, Happy Crafting!